Research Jam developed research activities and helped staff the All IN engagement booth. Last month, Research Jam (AKA CHeP’s Patient Engagement Core) teamed up with their friends at All IN to host a booth at the Indiana State Fair. 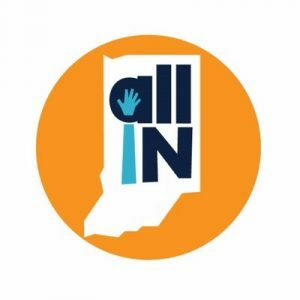 All IN is a collaborative effort of Indiana University, Purdue University, and Notre Dame that aims to share useful and engaging health and research information with Indiana residents. 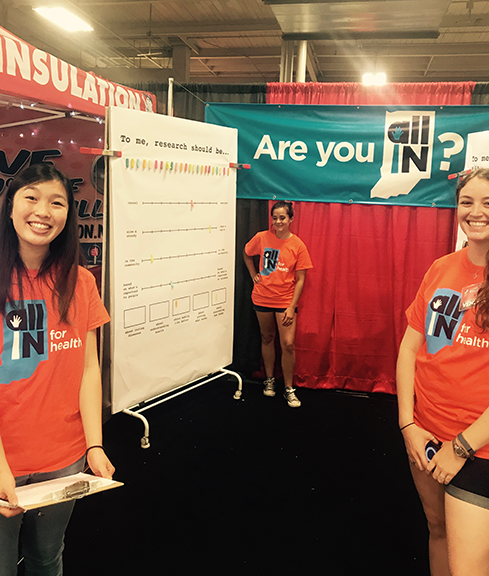 The goal of the All IN booth at the Indiana State Fair was to introduce fair-goers to the initiative and engage them in various activities to gather their thoughts on a few research and health topics. Over the course of 17 days, more than 1,000 fair-goers visited our booth and participated in a total of eight different interactive activities and two surveys. We collected Hoosiers’ opinions on these topics: their views on the role of research, their perceptions about universities, their concerns and knowledge about precision health, their willingness to participate in research studies involving DNA or water and soil samples, and the kinds of health information they value. We also gathered information about their willingness to open the door to their home for a stranger collecting data for research, and asked what they would want in return from a research study that involved their DNA. 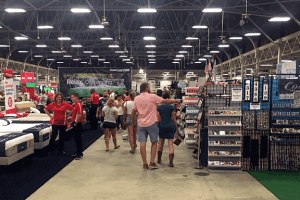 Our booth was situated inside the Exposition Hall amongst an eclectic mix of vendors selling everything from hot tubs and cable television to spray vitamins and hairstyling tools. This busy environment and the fact that the population roaming the hall changed from day to day meant that our team was constantly shifting its approach to attracting fairgoers. 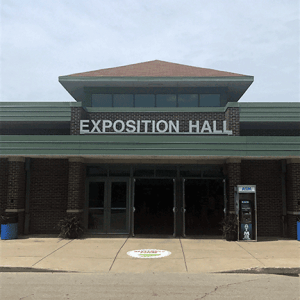 Exposition Hall at Indiana State Fairgrounds. The air-conditioned hall attracted large, browsing crowds. Our team enticed fair-goers with swag like All IN pens, postcards, and mints and compensated those that participated with “fair bucks” ($1 off coupons for fair concessions) as well as a raffle to win gift cards and an iPad. 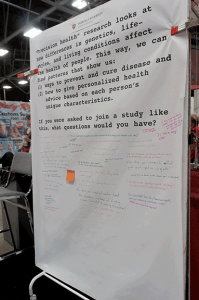 For the fair, Research Jam created large-format, engagement activities like this question and answer board. 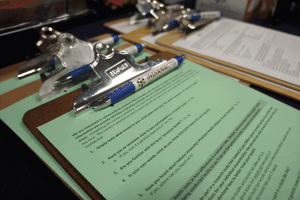 In the end, we collected approximately 1,000 surveys and hundreds of comments on our interactive activities and took a fun and engaging first step in the introduction of All IN to Indiana residents. 1) To help AllIN shape its upcoming efforts to share information about health and research with Indiana residents. 2) To help the Indiana CTSI and IU School of Medicine communicate about their Precision Health Initiative. 3) To help specific studies within the Precision Health Initiative shape how they communicate with potential participants and what they offer them as part of the study experience. Learn more about All IN, dedicated to improving the lives of Hoosiers through health knowledge and research.